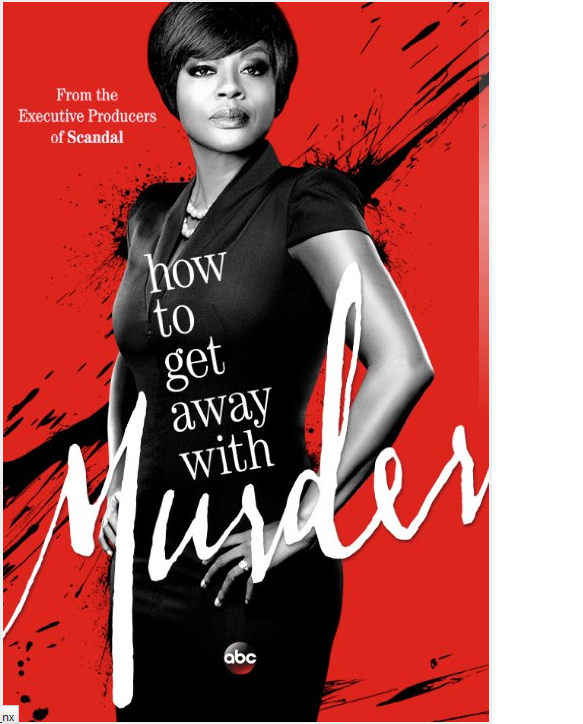 Of all the topics being taught in Universities nowadays, there is one that has been raising eyebrows, one you would not want to miss, How To Get Away With Murder. Seriously! When I was in college, they didn’t offer that class; they wouldn’t have. Today however, it seems important. Then again, time has changed. Unfortunately however, the topic is only taught at the Middleton University, most specifically in the Middleton Law School inside the Shondaland compound. Go figure! Who would have thought one could go to college to study those types of tricks. Then again, time has changed. Don’t despair if your college doesn’t offer that class in its law degree program. To remedy that situation, it is being offered online, free of charge, courtesy of free television programming. How to Get Away with Murder is a TV Show aired on ABC Thursday nights at 9pm, immediately before SCANDAL; this show is another blockbuster of the famous executive producer Shonda Rhimes. Ms Rhimes has done with this TV Show what she is no longer able to do with Scandal, a show that should have been cancelled after Season 2. In “How To Get Away With Murder”, Ms. Rhimes’ creativity came exploding unto your screen with characters and personalities that only Ms. Rhimes’ mind could create. If you’ve not seen it yet, you’re missing out on the most intriguing TV show ever. The lead character, Mrs. Annalise Keating (Viola Davis), is a famous law professor at Middleton University; she is also a very successful lawyer; she doesn’t like to lose; she cannot stand losing; at any and all costs, digging dirt on the opponents being just one of her tools or strategy, professor Keating has always won all her cases, even when it is very obvious the odds are against her. She has two loyal assistants, Bonnie Winterbottom (Liza Weil) and Frank Delfino (Charlie Weber) who would do anything for her; their main job is to backup Professor Keating, shield her from all scrutiny and corroborate her stories in and out of court. Professor Keating also enlists five students to do her legwork, most like her dirty work, in any case she handles. Mrs. Keating has a very unorthodox method of teaching; instead of tasking students to reading books and lecturing them on appropriate materials, Mrs. Keating exposes them to real life cases and challenges them to “think outside the box” to solve cases. Boy do those students learn fast! Outside the box, those students are mind-boggling creative. For instance, Connor Walsh (Jack Falahee) uses his “gay charm” to obtain illegal document from a naïve, desperate gay partner who felt ignored even at the gay bar. Mrs. Keating is very rough, demanding and downright obnoxious but she is an obnoxious successful lawyer that even top law enforcement authority (the Assistant District Attorney(ADA)) takes heed not to mess with her. Mrs. Keating sets up a competing environment in her classroom; her five star students must also compete for a trophy that would earn a passing grade to whoever has it at the time. To have the trophy is not a permanent affair; its holder may lose it to one of the other five. Mrs. Keating despises failure, especially if it puts her case in jeopardy; the weird arrangement of having the star students and the assistants constantly in her home makes for a very intricate, mine-field, exploding relation even with her husband. It’s difficult to rationalize why anyone would want that. It’s not however by accident that Professor Keating has such arrangement. Every move she makes, every word she utters is calculated. Mrs. Keating does not believe nor trust anyone; she does not believe anything anyone says, however truthful that may be. For instance, in the opening act (Episode 1), when Wes Gibbins (Alfred Enoch) – who would be picked later as one of the five star students, to everyone’s surprise including Wes – failed to answer a question that was asked based on homework assignment sent via email by the professor, he couldn’t convince the professor that he never got that email. That’s not all there is to Professor Keating; she also resents those who try to show off. In that same Episode, when Laurel Castillo (Karla Souza) self-picked to provide the answer to the question the Professor asked Wes, she was humiliated in front of the class for doing so. How To Get Away With Murder is not just about getting away with murder; it would have been boring. Ms. Rhimes introduces her audience to characters we’re all much too familiar with, the liars, the backstabbers, the cheaters and the murderers. Yes, everyone is in on it. Everyone is keeping a secret from everyone else. The Professor’s husband is a known cheater; when a student he cheated with disappeared and found dead in a large water tank a few weeks later at the Kappa Kappa Theta Sorority house, circumstantial evidence pointed to the husband. Mrs. Keating was furious although she too was cheating with Nate Lahey (Billy Brown) whose wife was in the hospital dying of cancer. See, I told you; it’s intriguing, isn’t it? The web of lies, cheatings, backstabbing, murders and cover-ups is what makes the show a very intriguing show to watch. It is one of the few shows that would keep you interested to the end, and yearning for more. It feels almost interactive. At times, you would want to tell your favorite character how to react, what to say. But Ms. Rhimes is not just pleased to producing a blockbuster show for her audience; she is in a mission. Ms. Rhimes wants to provide a peek at interracial relations; she wants her audience to see gay and gay prostitutes; she wants to show what murderers, cheaters, liars look like; she wants to expose the raw of human characters. With this show, Ms. Rhimes has succeeded thus far. We hope it does not a turn as bad as her other once-upon-a-time most talked about show, SCANDAL which I suggested a while back to be canceled. How To Get Away With Murder is aired every Thursday night at 9:00 on ABC. Ms. Rhimes earns A+ for this show this season. The show returns next season. Stay tuned! ← Could “My Destiny” Define His Destiny?